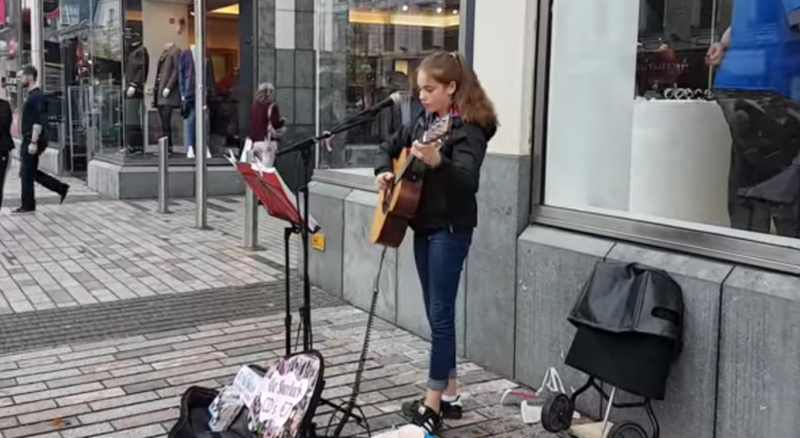 She's a 13-year old street performer from Ireland who has gathered almost half a million subscribers. Her videos are covers, all shot on the streets of Cork, Ireland, her hometown. She's super young, and she's also super talented. Watch as people on the street gather around to listen at the sound of her covering Alessia Cara's hit "Scars to Your Beautiful." Hopefully you love Allie's cover as much as we do!